A beautiful home is everyone’s endeavor. With the help of affordable painting contractors such as local interior painters, the house can be kept in mint condition. The crucial first step is to evaluate the overall state of the house. Any damage or faults need to be checked into before a fresh coat of paint is applied. Expert eyes know exactly what to look out for. Structural issues are first identified and then remedied. This way the home is protected from any underlying issue that may very well creep up in the future. There is a real danger of ignoring small repairs especially on the wall as well as other surfaces. A typical restorative project consists of a thorough check-up. If there is a need for a major repair, a recommendation is given to the homeowner first. This assessment comes with a quotation on the overall restoration cost and other important information. After this phase has been concluded the house painters are ready to carry out a fancy upgrade. Interior surfaces can receive a decorative effort that is in line with the overall decor. This takes place in helping to pick out painting colors. Any special requests such as favorite color can also be included in the scheme. There are many advantages of hiring local interior painters. Established contractors have much experience on similar projects. One can go over a catalog of well-executed projects in their portfolio. It is a dependable guide to the top trends in the market right now that can really transform any home. If undecided on how to carry on, this can be an inspiration. House Painting projects can be quite tedious if left entirely to the homeowner. There is a real risk of messing things up and also having unfinished or rushed outcomes. In order to have peace of mind, it is best to delegate to experienced hands that are well equipped to handle all kinds of extensive and demanding projects. There is a lot of preparation to be done before the actual painting can start. Furniture and possessions need to be kept out of the way. Special covers are required to wrap other fixtures that aren’t part of the upgrade. The overall process is extensive work summed up that needs experienced professional hands for the best outcomes. A duly completed project comes to life after the paint has dried up. One will be very impressed with the quality of work especially if it is consistent and meticulous. The pro has made sure that every item has been protected during the makeover so that there are no nasty surprises like spills or a missed spot. The best people for the job are able to perform their duty diligently from start to finish. A knowledgeable team of painters is able to quickly grasp what the homeowner wants for their residence. They will invest time and effort and fast-track the assignment to avoid any disruptions. There is a special appeal about a well cared for home. Both visitors and residents will appreciate good looks. These go on to make a good first impression. A decent home is a cozy and habitable retreat for everyone. Foothills specializes in interior and exterior painting. 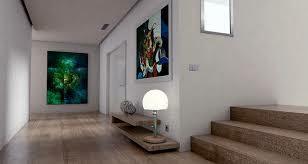 Please feel free to contact us at https://foothillspaintinggreeley.com/ or if you are looking for painters Greeley.